A Connecticut Yankee in King Arthur's Court is an early example of a classic time-travel story. It recounts the tale of the Yankee Hank Morgan, a 19th century citizen of Hartford, Connecticut who is a skilled mechanic at an arms factory. He awakens to find himself transported back in time to early medieval England. 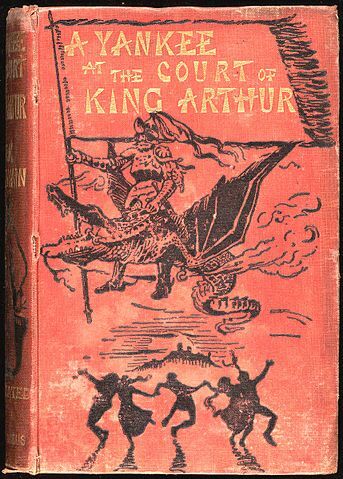 Hank is ridiculed at King Arthur's Court and sentenced to burn at the stake. He fights back with his Yankee ingenuity, making considerable progress until he butts up against a larger force that ushers in some darker events. Mark Twain shows his artistry and cloaks a clever social satire in his highly engaging novel. Chapter XI: The Yankee in Search of Adventures. Chapter XIV: "Defend Thee, Lord"